The Popovich Comedy Pet Theater is a family-oriented blend of the unique comedy and juggling skills of Gregory Popovich and the extraordinary talents of his performing pets. Shetland pony “Diamond” and the German goat duo “Kurt and Helga” join Gregory and his cast of jugglers, clowns, and over 30 pets including house cats and dogs – all adopted from animal shelters – plus geese, white doves, and parrots.They love to show off onstage, performing a variety of stunts and skits. 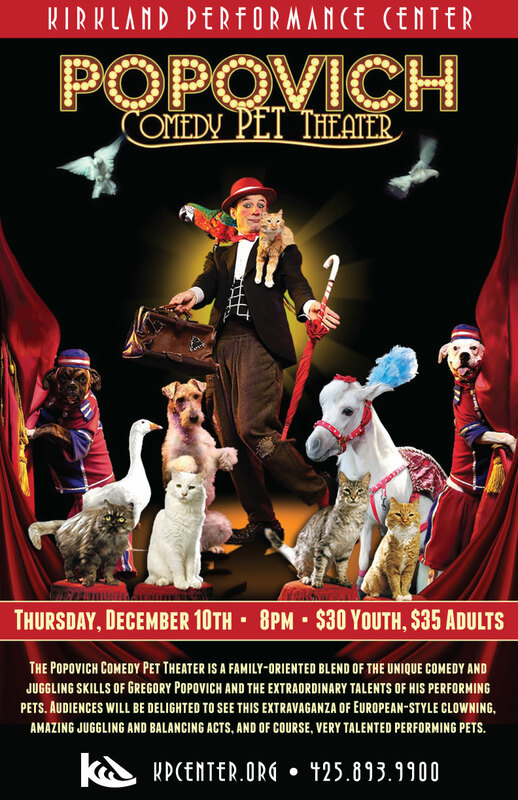 Audiences will be delighted to see this extravaganza of European-style clowning, amazing juggling and balancing acts, and of course, very talented performing pets.